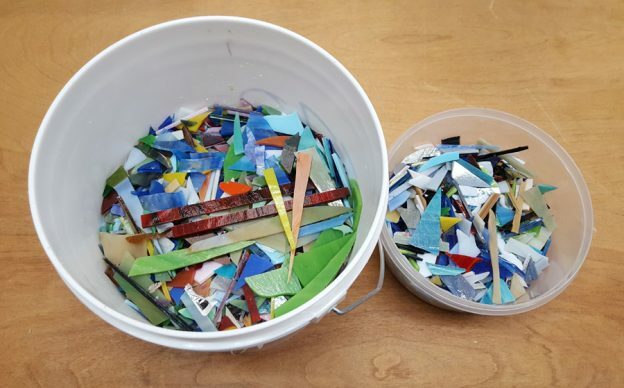 If you work with stained glass over time you can end up with buckets full of scrap. When the pieces start getting too small and irregular, or if there’s just too much of it, you can used them in a stepping stone. This tutorial demonstrates how to make a stepping stone with an abstract pattern. You can also use tiles instead of stained glass scraps. 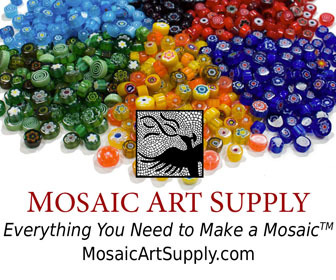 This entry was posted in Step by Step Instructions and tagged instructions, outdoor mosaic, scrap glass, stained glass, stepping stone, thinset mortar, tutorial on January 10, 2017 by Natalija Moss. Small mosaic plaques can be mounted on a wall with a the same type of hangers and wires used for paintings provided the nail on which it hangs is mounted in a stud inside the wall, and even then redundant wires and fasteners are recommended. However, larger mosaics need more robust mounting hardware. The “french cleat” is a type of wall mounting that can be used to securely affix heavy mirrors, cabinets or artwork to a wall. In addition to its strength, the french cleat also allows mosaic art to be mounted flush against the wall and makes leveling it easy. 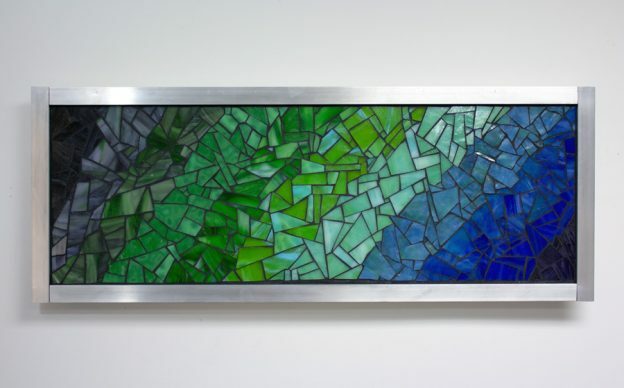 If you built a frame on the back of your mosaic as described in this tutorial, then french cleat molding is a good hanging option. This entry was posted in Step by Step Instructions and tagged hanging, large mosaic, presentation, tutorial on October 5, 2016 by Natalija Moss.